As a sci-fi obsessed woman living in near isolation, musician Beverly Glenn-Copeland wrote and self-released 'Keyboard Fantasies' in rural Ontario in 1986. Recorded on an Atari-powered home-studio, the cassette featured seven tracks with a curious blend of folk, electronica and lush jazz, a sound realized far before its time. Three decades on, a re-issue of 'Keyboard Fantasies' by record label Invisible City, and subsequent plays by Four Tet, Caribou and more, the music finally found its audience, gaining global recognition two generations down the line. In November, Glenn and the five piece ensemble of Indigo Rising, comprised of musicians from Halifax’s fervent DIY scene, will bring the music of 'Keyboard Fantasies' to Europe for the first time. Their performance at Le Guess Who? is curated by Devendra Banhart as well as Moor Mother. Leading up to the performance, a stunning new music video for cult classic 'Evernew' (the album's opening track) is now released. Watch below, recorded at The Old Confidence Lodge in Nova Scotia; directed by Posy Dixon and produced by Liv Proctor. Keyboard Fantasies, a film documenting Glenn’s remarkable story, both past and present, is currently in production. It tells the time-travelling story of Beverly Glenn-Copeland, as the present finally catches up with him and he embarks on his first global tour at the age of 74. Capturing five decades of relentless musical output and shifting manifestations of gender and sexual identity, set against a backdrop of profound social change, the film celebrates the unpredictable rhythms of the cyclical nature of life. Follow the film’s progress on Instagram. 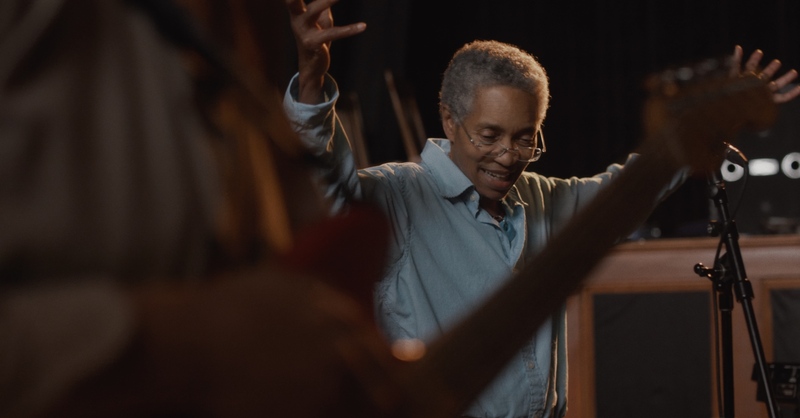 Beverly Glenn-Copeland will perform at Le Guess Who? 2018 together with a.o. Neneh Cherry, Art Ensemble of Chicago, Devendra Banhart, Anoushka Shankar, Midori Takada, Lonnie Holley feat. Nelson Patton, Nicole Mitchell, Jessica Pratt, Rodrigo Amarante, Circuit des Yeux, and many more.